The DakStats Basketball Full package package ensures the highest level of accuracy of statistics resulting in detailed game, season and career reports for teams and players. 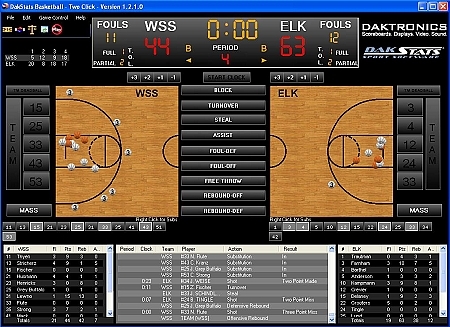 The DakStats play-by-play entry mode is ideal for entering statistics during the game or from game films. Box Mode entry is perfect for entering stats after games.